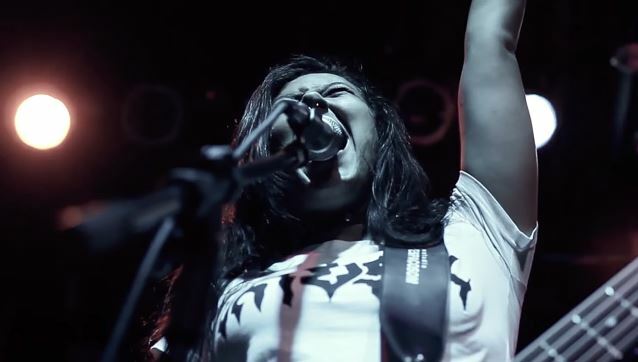 "Into Mosh Pit", the new video from NERVOSA — the all-female thrash metal act from São Paulo, Brazil — can be seen below. The song is taken from the band's debut album, "Victim Of Yourself", which was released in March 2014 in North America via Napalm Records. The production, recording, mixing and mastering were taken care of by Heros Trench and Pompeu, both of the veteran Brazilian metal band KORZUS. 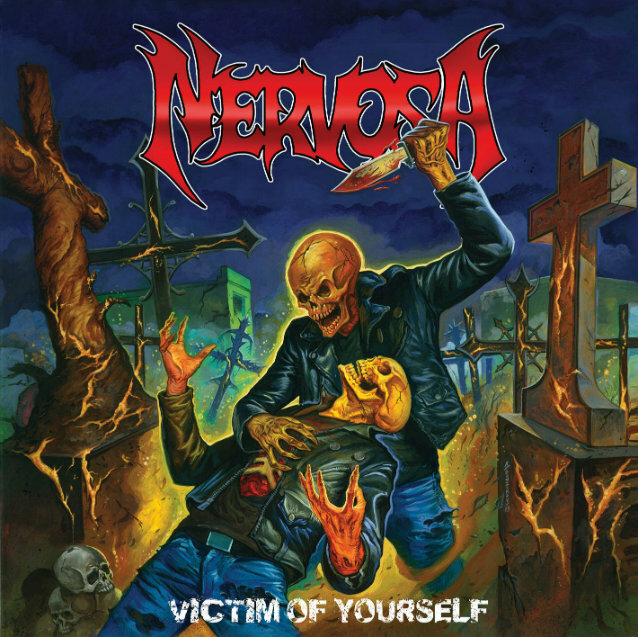 The recordings took place at the studio Mr. Som, where NERVOSA recorded its first EP, entitled "Time Of Death", in 2012. According to a press release, "the all-female thrash metal combo pushes the pedal to the metal and offers the listener high-speed riffs, furious drumming and raging leads. The songs have a brutal and raw energy and are crowned by murderous hooks and the aggressive vocals by bassist Fernanda Lira."